General description : The year 1931 proved to be a pivotal one for the Lincoln Motor Company, as it marked the introduction of the critically important Model K. The outgoing Model L had been a mainstay of the marque since its inception, though it was clear that it had reached the end of its development in an increasingly competitive luxury car market. Now under full control of the Ford Motor Company, Lincoln’s newest model featured a new chassis, fresh new styling, and a revised V8 engine. The Model K would lead Lincoln into a new era, serving as Ford Motor Company’s proud flagship throughout the 1930s. To the general public, the Model K stood apart from its predecessor with fresh and handsome new styling that featured graceful, flowing fenders and a peaked radiator grille. The styling was understated, crisp and elegant and would set the trend for Lincoln styling for several years. The new 145-inch wheelbase chassis was stronger than before and gave the Lincoln K a low-slung and modern appearance. 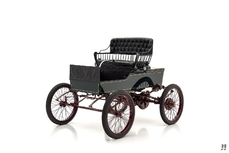 As before, the finest American coachbuilders, including Judkins, LeBaron, Brunn, and Murphy offered their services to supplement a range of factory-designed body offerings. The underlying architecture of the Model L’s 384.8 cubic-inch V8 engine was retained; however, a number of changes improved reliability and output. 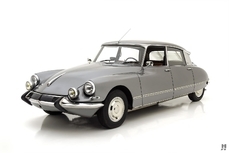 Significant updates included a five main bearing crank, a new Stromberg 2-barrel downdraft carburetor (the first such fitted to an American car) and a mechanical fuel pump to replace the old vacuum system. The revised, high-compression engine produced a very useful 120 horsepower and gave the new Lincoln the performance it needed to keep up with the competition. After 1931, the K-series split into two ranges; the V8 powered, KA and V12 powered KB. Post-1931 KA-series cars reverted to the shorter 136” inch wheelbase to distinguish them from their more expensive counterparts. 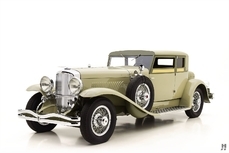 Therefore, 1931 models unique as they are the only V8 powered K-series Lincolns built on the preferred 145-inch wheelbase chassis. Thanks to its exceptional engineering and quality, the Model K established Lincoln as a worthy competitor to the likes of Packard, Cadillac, and Pierce-Arrow. 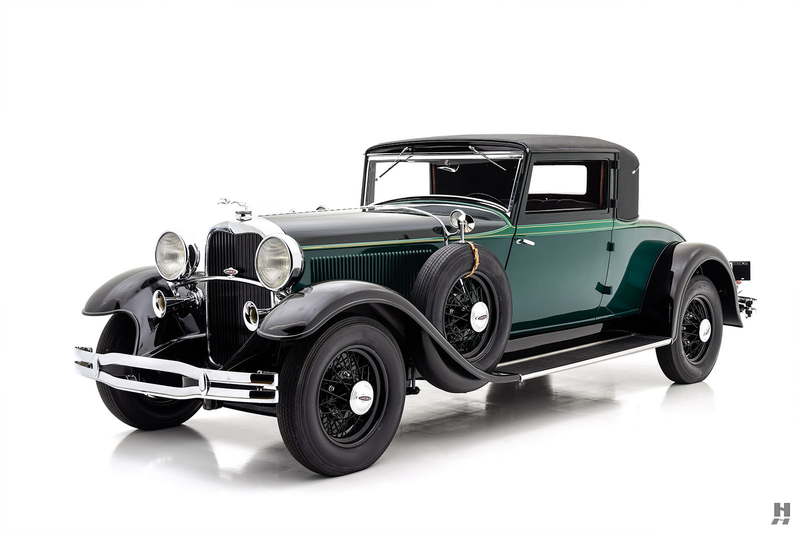 With its low-slung chassis and torque-laden V8 engine, the Lincoln K offers surprisingly brisk performance for its class, and this 1931 Model K, with two-passenger coupe coachwork by Judkins, is among the sportiest of the twenty-six bodies Lincoln offered that year. This highly attractive Lincoln wears a lovely older restoration that has matured slightly over time. 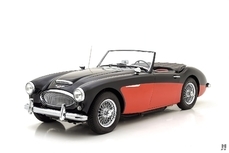 It comes to us from the estate of a long-term owner, who purchased it 58 years ago with the intention of enjoying it well into his retirement. He restored the car over several years, and his family has continued to maintain it in the years since it was completed. Finished in a beautiful multi-tone green color scheme with black fenders and wheels, the colors complement the elegant and sophisticated style that is typical of J.B. Judkins Company. Some slight cracking is just beginning to appear in the lacquer, and it remains a lovely car with deep gloss and good overall paint quality. 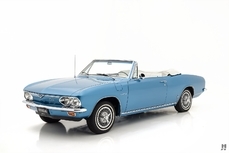 Options and accessories include dual side-mount spares, wire wheels, greyhound mascot, Depress Beam headlamps, dual cowl lamps, and twin chrome trumpet horns. The black cobra-grain fabric roof and black wall tires accentuate the long, low profile and distinctly sporting presence. The quality and detailing is quite good, with attractive plating and tidy panel fit all around. Unusually for the time, Judkins designed the body as a strict two-passenger affair, with a full-size integrated trunk in place of the more common rumble seat. There is a golf bag door in the passenger side, and a trunk rack for additional luggage capacity when needed. The two-place cockpit is trimmed in lovely gray tweed fabric, with complementary velour material used on the doors and interior paneling. The light gray carpets are in good condition, though showing some light use. Interior appointments include tinted Plexiglas visors, opening windscreen, Seth Thomas electric clock, and optional Chicago heater. At 384.8 cubic inches, Lincoln’s L-head V8 matched the displacement of rival Packard’s inline eight. The long-stroke Lincoln engine is torquey and smooth, and this example runs very well. The presentation is excellent, with high-quality paint finish on the block, manifolds, and firewall. Underhood detailing is excellent and consistent with a car that is well-suited to touring and regular enjoyment on the road. After nearly six decades of single-family ownership, this rare and handsome Lincoln K Judkins Coupe is ready for a new owner to enjoy it in tours and events. The performance and road manners of the Model K make it a fine choice for driving enthusiasts, and as a CCCA Full Classic and welcome entry into the AACA, Lincoln Owner’s Club, and Lincoln & Continental Owner’s Club, there is no shortage of possibilities to enjoy this marvelous car. Also, it represents a tremendous value in the world of Full Classics and is sure to satisfy its next keeper for years to come. 1931 Lincoln Model K is listed sold on ClassicDigest in St. Louis by Mark Hyman for $89500.